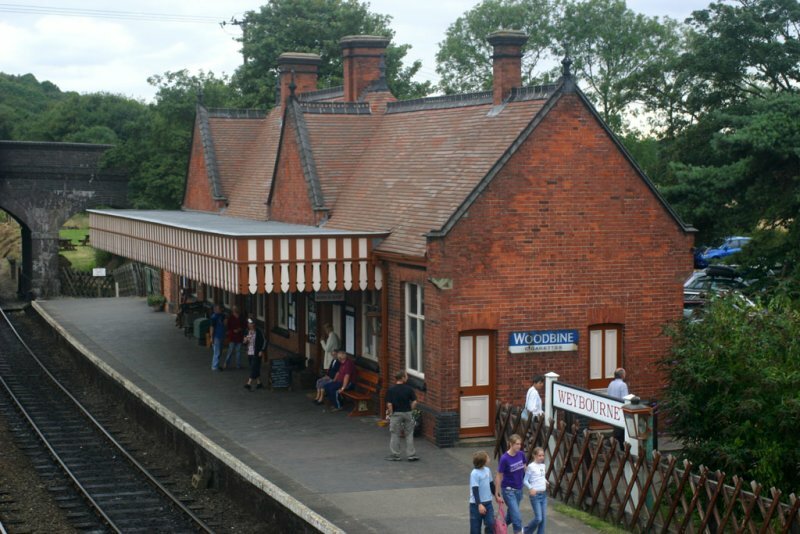 A view of Weybourne Station on the "Poppy Line". The original of my enamelled "Woodbines" advertising sign is visible on the nearer end of the station building. The Poppy Line (also known as the North Norfolk Railway) is an English heritage railway that runs along a preserved section of the former Midland & Great Northern Joint Railway between Sheringham on the North Norfolk coast and Holt, a few miles inland.